From May 30 to June 3, 2016, at the Munich Trade Fair Center some 3,000 exhibitors will be showcasing their current strategies and product solutions for the securing of future environmental quality. The leading fire industry supplier Rosenbauer will also be amongst the participants with an extensive product portfolio focused on preventive fire protection. At the IFAT 2016, Rosenbauer will be presenting a comprehensive range of monitors and room/building protection solutions that are intended specifically for the waste management sector, as fires in recycling plants can have catastrophic results. During storage and processing, waste management companies generally keep large quantities of material in bunkers, sorting halls and RDF-fired power plants. Many of the substances involved are highly flammable and in recycling plants the danger of self-ignition is ever-present. In addition, there are special fire protection related challenges such as those relating to the conveyors that transport the waste through the facilities. Like the plant machinery, the conveyors that transport the waste to shredders or sorting equipment are protected by a CAFS extinguishing system. Should a fire break out, this is extinguished in seconds by means of CAFS foam, which is emitted via full-cone spray nozzles. This system can also be combined with infrared cameras or conventional fire alarms. Stationary monitor systems have proven highly effective in waste bunkers and large sorting halls. An area of up to 10,000 m2 can be protected efficiently with just one ceiling-mounted monitor, as owing to its extensive range and high-precision extinguishing capability, this can quickly put out a fire in its initial phase. Above all, monitors demonstrate their strengths to the full in tandem with an infrared system, for as soon as the cameras identify a significant hot spot, the monitor instantaneously provides cooling. Consequently, the Rosenbauer system extinguishes a potential fire even before it breaks out. An important step for Rosenbauer took place at the beginning of 2016 with the takeover of the G&S Brandschutztechnik AG company, which is based in Mogendorf, Germany. This resulted in the expansion of the group’s stationary fire protection program with sprinkler, deluge and gas extinguishing systems, as well as fire alarms. As a consequence, the Rosenbauer is now a full-liner in the preventive fire protection field. In the recycling industry sprinkler and deluge systems are employed to minimize the danger from rapidly spreading fires and automatic sprinkler inspection using MASTERCONTROL is one notable feature of the G&S product range. This system offers considerable cost savings, as the time-consuming, manual examination of the components is replaced by automated, routine checks. Another G&S solution is provided by gas extinguishing systems for the protection of both people and property. Among other functions, these systems safeguard switching cabinets and process controls like those used for shredders. Rosenbauer and G&S possess all the qualifications and certificates required for the installation of stationary fire protection systems, as exemplified by those of VdS Schadenverhütung GmbH. 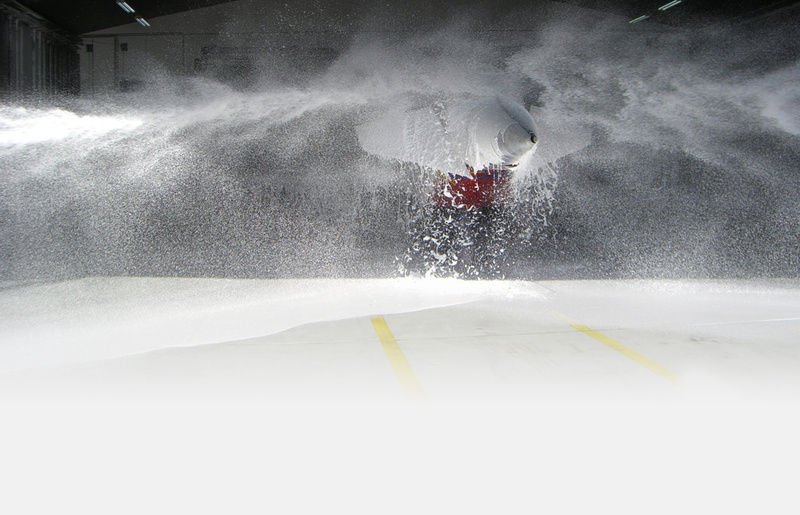 Stationary fire protection systems from Rosenbauer represent special solutions that offer highly efficient extinguishing technology for the safeguarding of people, rooms and buildings. Apart from freeway tunnels, Rosenbauer has already equipped aircraft hangars, painting and recycling facilities, RDF-fuelled power plants, transport systems and offshore helicopter pads, using concepts that are adjusted to match precisely the respective protective requirements. Customers throughout the world estimate the complete service packages provided, which commence with on-the-spot analyses and extend to consulting, planning, production, installation, commissioning, support, servicing and maintenance. Rosenbauer and G&S products, which in particular are employed in the recycling industry, such as the RM15 monitor with IR-system, POLY extinguishing systems (POLY SL300 and the CAFS compact extinguishing system) the MASTERCONTROL system and a gas extinguishing system, will all be on display at the IFAT. The Rosenbauer and G&S specialists look forward to welcoming you on Booth 529 in Hall C2.